Here at the Tactical Store we employee what we believe to be the best instructors on the treasure coast. Our concealed carry class goes above and beyond our competitors because we are not in a competition to get your money it a desire to have our students learn, understand and remember what they were taught. We also spend one on one time training the student how to aim and shoot properly using our state of the art training simulator. Our concealed carry classes start at $65.00 and take from 3 to 4 hours. 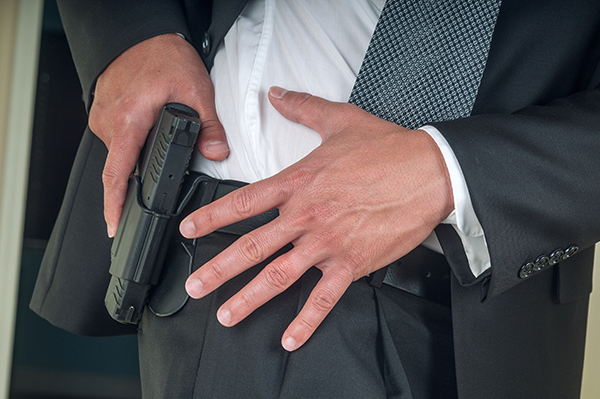 Carrying a concealed firearm is a great responsibility, and there are plenty of reasons why someone would not want to carry one. But there are a great many reasons why you should carry everyday. It is a huge commitment and you need to make the decision for yourself. Here are some reasons that may help to persuade you to start to carry everyday, not in any particular order. Some people say that when they carry, they are more on edge and are better aware of their surroundings. When we carry, our senses are on high alert and I tend to know more of what is going on around me. Having a gun means I have to know what is happening to avoid a bad situation. Some people are just not able to protect themselves physically anymore due to various issues. Injuries, illness, old age and other conditions can cause odds to be stacked against us. Having a concealed firearm will help to level that playing field and give you an advantage to be able to fight back. Some people just like to be able to train and learn, and by carrying their firearm, they are able to put that training to use. .Regardless, it’s been proven statistically that having a concealed firearm will save lives more often then not. Criminals want to hit an easy target. If their victim fights back with a gun, they will run off. They don’t want a fight.